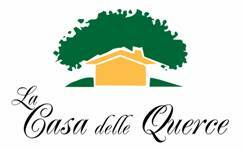 “La Casa delle Querce” offers charming self catering accommodation immersed in the gorgeous Tuscan landscape. 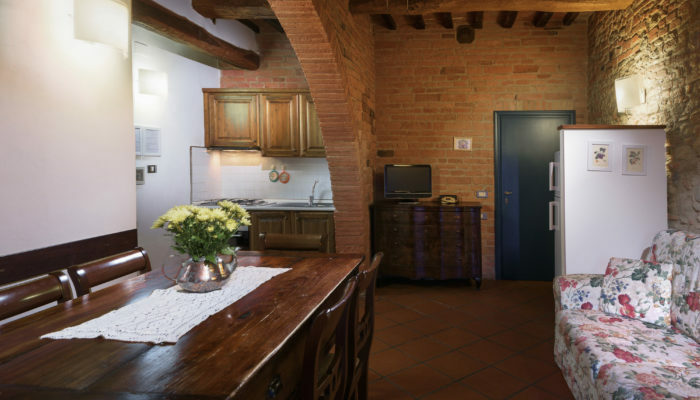 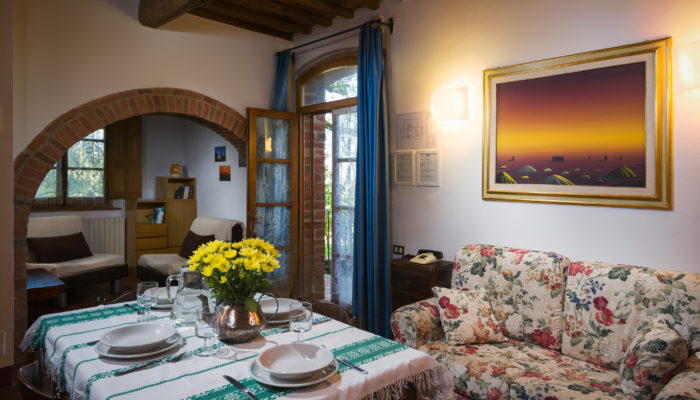 All the apartments of the Holiday Home “La Casa delle Querce” are furnished, as is the tradition in Tuscany, with simple rustic furniture and have local terracotta tiled floors. 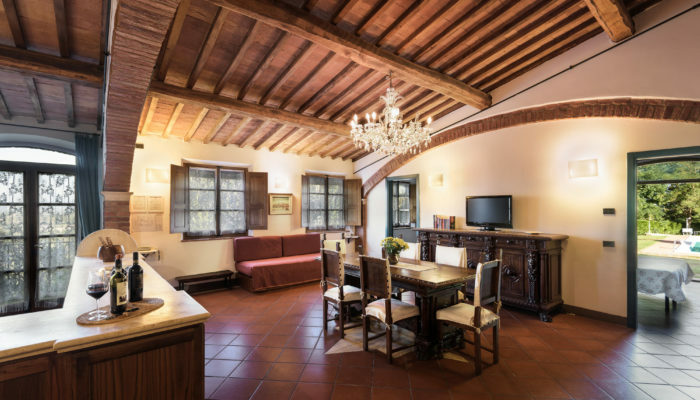 Most of them also feature wooden beamed ceilings and traditional brick walls. 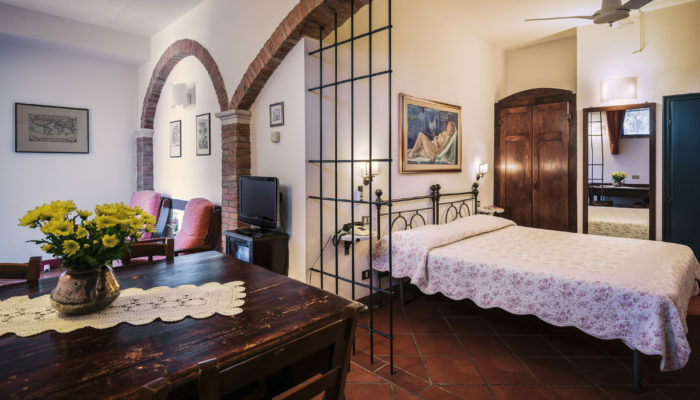 All the apartments of the Holiday Home “La Casa delle Querce”, are equipped with central heating, sat TV, telephone, wi-fi connection, fly-screens, ceiling fans or air conditioning (in the Policiano suite only). 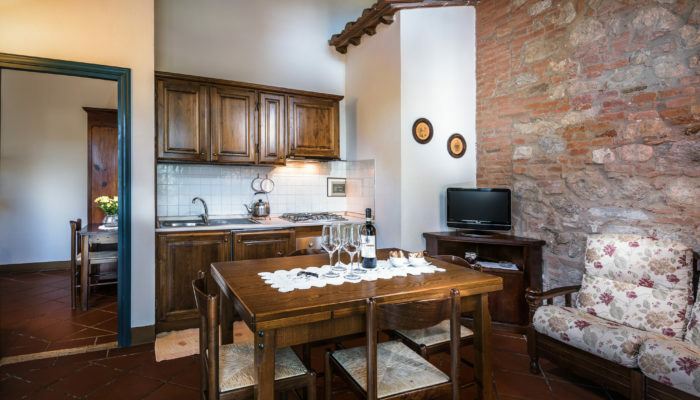 The kitchenette, in every apartment, is fully equipped with fail-safe gas stove, oven with grill, fridge ,dishes, cooking utensils and cutlery.